Whenever I see video’s like this one my heart blossoms with pure joy and unconditional love. I feel like we are in the midst of documenting on video, co-species connections that previously were just flippantly tossed aside as just “anecdotal”. There are so many teachings in this short video, that support the big vision of this site, creating a more compassionate society for all beings. 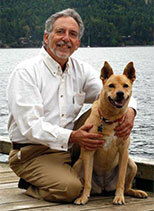 It demonstrates love between two species, going beyond labels as we had discussed in a previous post. It demonstrates recognition, memory, cognition, sentience, gratitude, love, and ……? 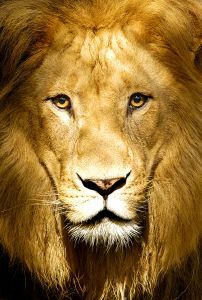 It demonstrates all these thoughts and emotions in a lion for someone who saved him years ago. As we collect continued documentation on video of these inter-species connections, we build a library of documentation of profound connections and communications between species. As Brene Brown shares in her Ted.com video in a previous post, this is a new kind of research, collecting documented “anecdotes” if you will, into a unique research project. 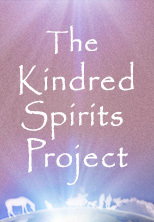 One of the goals of the Kindred Spirits Project is to offer so many documented inter-species connections of love, communication, altruism etc. to provide a foundation for creating a new “all-species” compassionate society, where we all show such appreciation, respect and compassion for all beings. 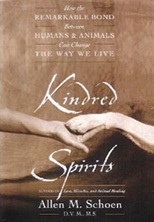 In addition, as we see these video demonstrations, we create a new neural net in our brains that acknowledges inter-species compassion and loving kindness as a normal part of everyday life. As our neural net, our memories, are reinforced with this potential, it then becomes the norm.